SPIRITUAL JAZZ VOLUME 2: EUROPE (ESOTERIC MODAL AND DEEP EUROPEAN JAZZ 1960-1978. 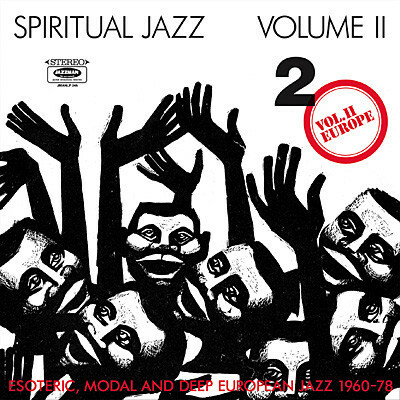 Spiritual Jazz Volume 2: Europe (Esoteric Modal and Deep European Jazz 1960-1978). Twenty years ago, in 1998, Jazzman Gerald was one of a number of people who noticed that the demand for old jazz, funk and soul albums and singles was outstripping the supply, which meant that many record buyers were being priced out of the market. That was unless they were willing to purchase a bootleg copy of the album. However, many record buyers weren’t willing to buy bootlegs as the artist didn’t receive any royalties, and often the sound quality was extremely poor. Jazzman Gerald realising all this, knew that there had to be another way, and one day, decided to found his own record label, Jazzman Records. Four years after the first instalment in the series, Spiritual Jazz Volume II-Europe (Esoteric Modal and Deep European Jazz 1960-1978) was released in 2012 and features tracks by the Erich Kleinschuster Sextett, Michael Garrick Sextet, Raphael, Barney Wilen, Nicolai Gromin, Wroblewski Jazz Quintet, Pedro Iturralde and Hans Dulfer and Ritmo-Natural. Unsurprisingly, critical acclaim accompanied this lovingly curated compilation which was released on vinyl and CD. Six years later, and original copies of Spiritual Jazz Volume II-Europe (Esoteric Modal and Deep European Jazz 1960-1978) are extremely desirable and nowadays, are regarded as collector’s items. Fortunately, Jazzman has just repressed the two LP set of Spiritual Jazz Volume II-Europe (Esoteric Modal and Deep European Jazz 1960-1978), which will please many jazz fans. Erich Kleinschuster Sextett’s Communion opens side one of Spiritual Jazz Volume II-Europe (Esoteric Modal and Deep European Jazz 1960-1978). It’s taken from the 1970 album Oberwarter Messe, which was released in Austria by Columbia. It’s soulful, spiritual, cinematic and sometimes is ruminative encouraging the listener to reflect during this musical Communion. 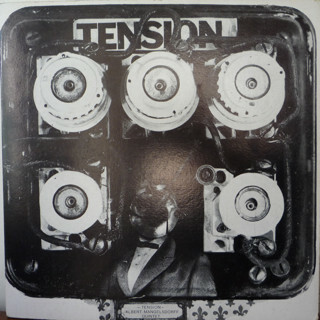 In 1963, the Albert Mangelsdorff Quintet released their debut album Tension on CBS. One of the highlights of the album was Varié, which was an eight minutes of rueful, dramatic music that married elements of avant-garde with post bop to create a timeless track. Nearly seven years after his death on the ‘11th’ of November 2011, pianist, band leader, and composer Michael Garrick is regarded as one of the legends of British jazz. When he led the Michael Garrick Sextet, which released four albums between 1965 and 1970, the lineup featured the great and good of British jazz, including Don Rendell and Ian Carr. The Michael Garrick Sextet had recorded a fifth album at the BBC Maida Vale Studios 1968, with Don Rendell and Ian Carr. This was Prelude To Heart Is A Lotus, which lay unreleased for forty-five years. The first many jazz fans heard of the album was when Temple Dance featured on Spiritual Jazz Volume 2: Europe (Esoteric Modal and Deep European Jazz 1960-1978). 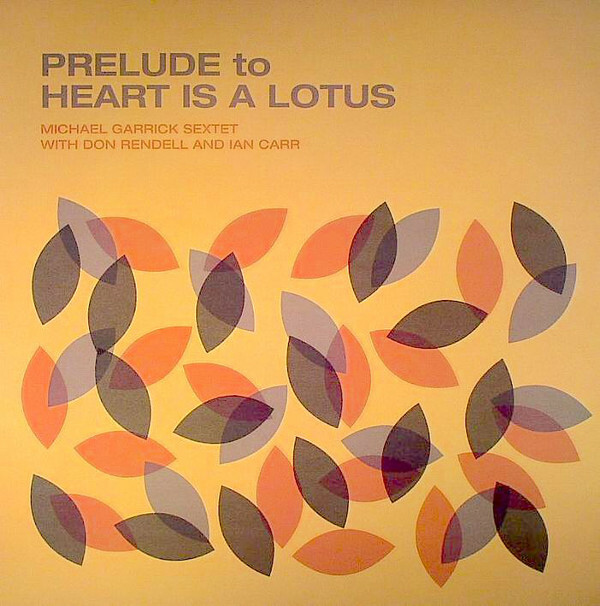 However, a year later Temple Dancer featured on Prelude To Heart Is A Lotus which released by Gearbox Records and credited to Michael Garrick Sextet With Don Rendell and Ian Carr. One of the highlights of this hidden gem was Temple Dancer which features a flawless piano solo by Michael Garrick during an evocative track that is rich in imagery. 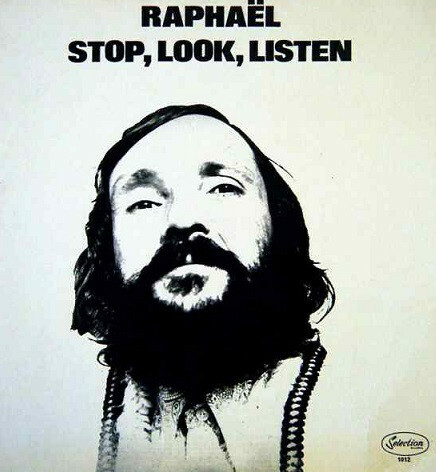 Phil Raphael only ever released the one album as Raphael, which was Stop, Look, Listen, which was released by Selection Records who were a library music label. Archangelo which featured on Stop, Look, Listen features an ethereal vocal which plays a starring role in the sound and success of this filmic track. Barney Wilen was born in Nice, France and played alongside many giants of jazz, and at one time was a member of Art Blakey and The Jazz Messengers, The Miles Davis Quintet and Roy Haynes Sextet. 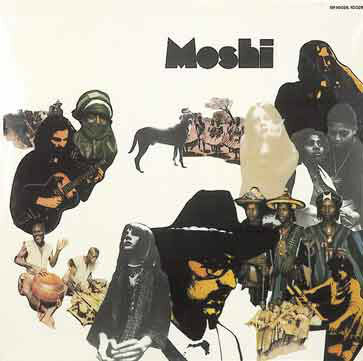 However, Barney Wilen was also a bandleader and solo artist and in 1972, released the album Moshi on the French label Saravah. It featured Africa Freakout, which is a much more experimental sounding track as Barney Wilen plays with freedom and an inventiveness during this fine example of free jazz. One of the obscurities on the compilation come courtesy of Russian Jazz guitarist Nicolai Gromin, who recorded Corrida for 1965 Young Moscow Jazz Ensembles LP. Nicolai Gromin was joined by drummer Valery Bulanov, bassist Andrey Yegorov and alto saxophonist Georgy Garanyan who plays an important role in this beautiful, but melancholy, mournful emotive example of Soviet jazz. 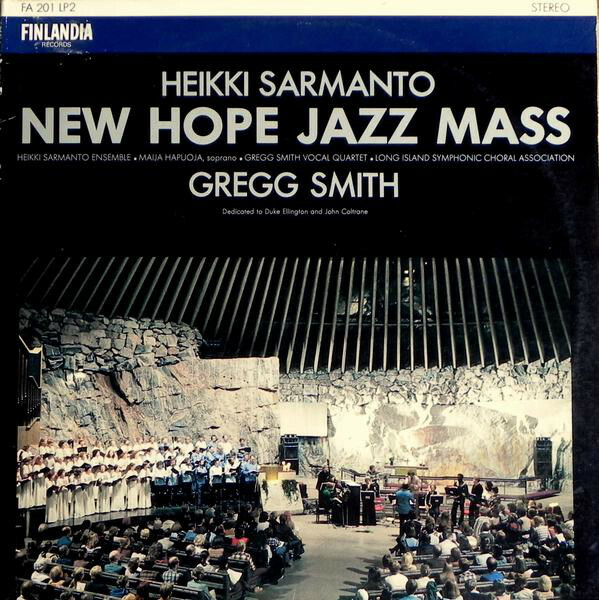 Heikki Sarmanto manages to pay homage to two legends of jazz on Duke and Trane, which is taken from his 1979 album New Hope Jazz Mass. It was recorded during a concert that took place on September the ‘7th’ 1978, at the Temppeliaukio Church, in Helsinki. Joining Heikki Sarmanto was the Long Island Symphonic Choral Association who add a soulfulness that borders on the spiritual during this ten minute fusion of modal and free jazz. 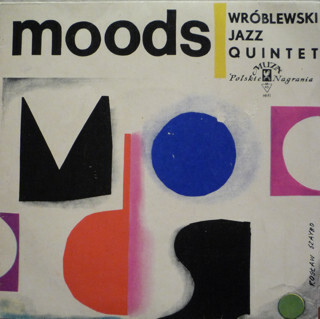 In 1960, the Wroblewski Jazz Quintet released their Moods Jazz Jamboree 1960 Nr 3 EP on the Polskie Nagrania Muza label. Languishing on the B-Side was Nana Imbroro, which breezes along, thanks to Jerzy Milian’s vibes and Jan Ptaszyn Wróblewski’s tenor saxophone. This hidden gem in another welcome addition to Spiritual Jazz Volume 2: Europe (Esoteric Modal and Deep European Jazz 1960-1978). Trumpeter and flugelhorn player Dusko Goykovic was born in Jajce, Yugoslavia, which later became Bosnia, in 1931. By the time he released It’s About Blues Time, on the Spanish label Ensayo, in 1972, he was an experienced and versatile musician. Proof of that was Bosna Calling, which was one of the highlights of It’s About Blues Time which is an underrated album of European modal jazz. In 1967, Spanish saxophonist Pedro Iturralde released his debut album Jazz Flamenco! It was released on the Hispavox label, and featured Las Morillas De Jaen where Pedro Iturralde seamlessly marries modal jazz and flamenco. Closing Spiritual Jazz Volume 2: Europe (Esoteric Modal and Deep European Jazz 1960-1978) is Hans Dulfer and Ritmo-Natural’s Candy Clouds (Part 2) which is taken from their 1970 genre-melting album Candy Clouds. It was released on the Catfish label, and Candy Clouds (Part 2) which is an example of a freer style of fusion on this melodic and memorable track. 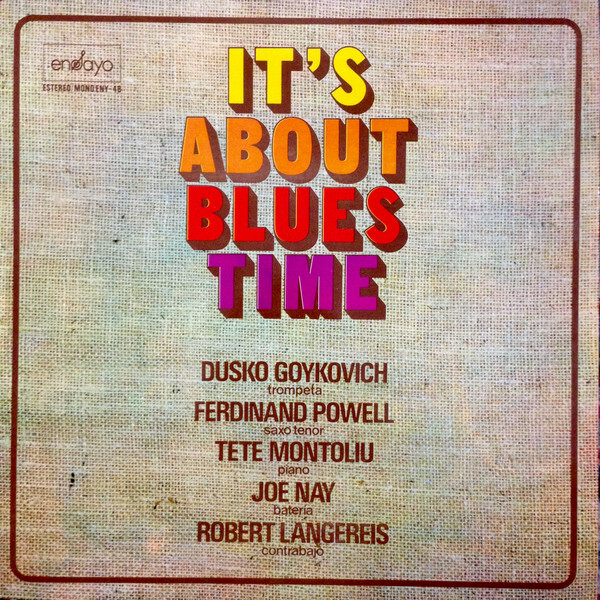 It’s the perfect way to close any compilation of European jazz. Especially one as good as Spiritual Jazz Volume 2: Europe (Esoteric Modal and Deep European Jazz 1960-1978), which was originally released by Jazzman Records in 2012 on CD and as a two LP set. Recently, Jazzman Records decided to repress the vinyl version of Spiritual Jazz Volume 2: Europe (Esoteric Modal and Deep European Jazz 1960-1978), which is one of the finest instalments in this long-running series. Six years after Spiritual Jazz Volume 2: Europe (Esoteric Modal and Deep European Jazz 1960-1978) was released, Jazzman released Spiritual Jazz Volume 8 Japan: Parts I and II, is another of the highlights of this lovingly curated compilation series which focuses on the spiritual side of jazz. It’s been neglected for too long, but over the past few years, labels like BGP and BBE have joined Jazzman Records in turning the spotlight on spiritual jazz from the four corners of the world. For anyone yet to discover the delights of spiritual jazz, then there’s the eight vocals of Jazzman’s long-running and carefully curated compilation series. Two of the highlights of the series are Spiritual Jazz Volume 8 Japan: Parts I and II and Spiritual Jazz Volume 2: Europe (Esoteric Modal and Deep European Jazz 1960-1978), which both feature contributions from familiar faces and hidden gems a plenty that are a tantalising taste of the oft-overlooked world of spiritual jazz. However, the recently repressed copies Spiritual Jazz Volume 2: Europe (Esoteric Modal and Deep European Jazz 1960-1978) are sure to sell out quickly, so it’s a case of get the compilation while you can, and discover the delights of some deeply esoteric modal and deep European jazz from what is regarded as a golden era for this underrated genre. ← GRANT GREEN-SLICK! LIVE AT OIL CAN HARRY’S-RECORD STORD DAY 2018 EDITION.